Horace Norman was born in Ohio in 1843 and died in the Civil War on April 24, 1865. He was in Co. D, 5th, USCT, corporal and is buried in Hampton, VA, interred in the National Cemetery, Row 8, Section F, Grave No. 44. He was appointed corporal October 1, 1863. 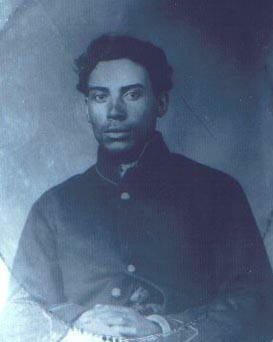 His brother William Norman also served in the 5th Regiment of the Colored Infantry. Their father was Grandison Norman the first Old Settler to Isabella County in the early 1860's.